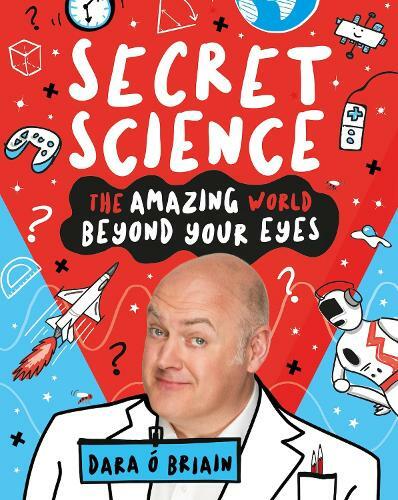 The second hilarious book, following Beyond the Universe, for curious kids from the UK and Ireland's best-loved comedian, Dara O Briain! So you think everyday life is boring?! WHAT?! Hoo-ee, are you wrong! No, seriously. There's so much EXTRAORDINARY science going on right from the minute you wake up to when you go to sleep.Actually, while you're asleep, too. You've got your incredible brain, which has worked out how to read these words and make playing a video game feel as EXCITING as real life; you've got aeroplanes that can somehow get from the ground into the sky with all those people AND their luggage on board; you've got electricity and artificial intelligence and GPS and buses coming in threes (that's science too) and LOADS more. My grandson loved his friends copy so we. Bought it for him. And he truly loves it and gets him to read! !